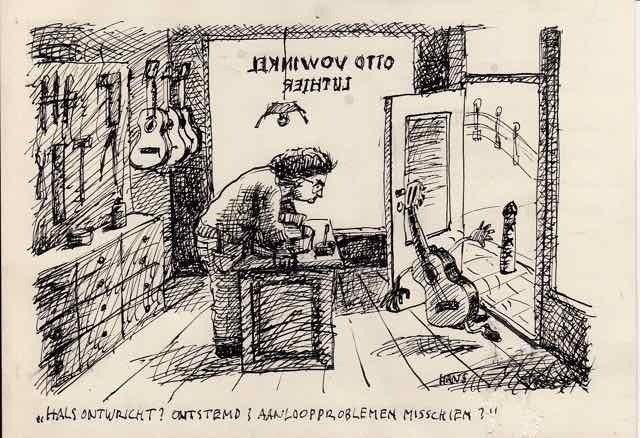 I got this cartoon years ago as a ‘thank you’ gift for repairing the bridge of a bass. It’s in my office for years now and I share it with you in this post. I lost contact with the cartoonist. Even Google couldn’t help me finding him. neck bent? out of tune? buzzing problems?